An informative site for those with an interest in Helena Petrovna Blavatsky. Mondrian’s chosen faith was theosophy. Championed at the turn of the 20th century by Madame Blavatsky and Annie Besant, it was fallen upon by a clutch of artists who interpreted its credo – that the divine essence of reality was a union of spirit and matter – as a manifesto for an art that aimed at universal enlightenment. However esoteric it sounds, theosophy made for masterpieces. (Kandinsky was a fellow traveller.) It captured Mondrian’s imagination in 1909, while he was still in Amsterdam. In 1911 he left for Paris and his spiritual vision found its secular medium in cubism’s crystalline dissections. 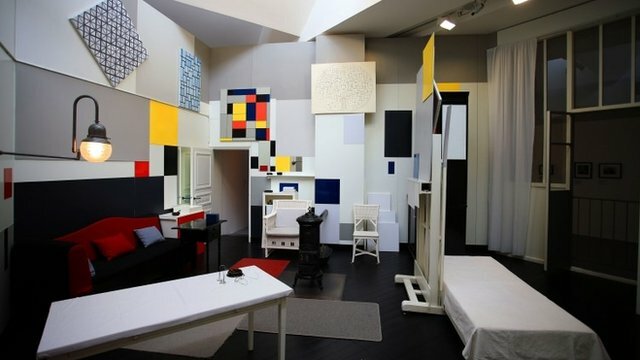 “Mondrian And His Studios”, which commemorates the 70th anniversary of the Dutch artist’s death, is the largest UK exhibition of work by the abstract painter. It will be on view from June 6 to October 5, 2014. All comments to this blog are subject to moderation, and may appear at our sole discretion, if found to add relevance to the site's topics.